There were moments, in the historic Oxford Hotel in Denver, Colorado, when I felt like the Jack Nicholson character in The Shining. Not that I expected to see ghosts of past guests although it may be likely, if you believe in such things, as the hotel opened in 1891 and there have to be a few that never officially checked out. 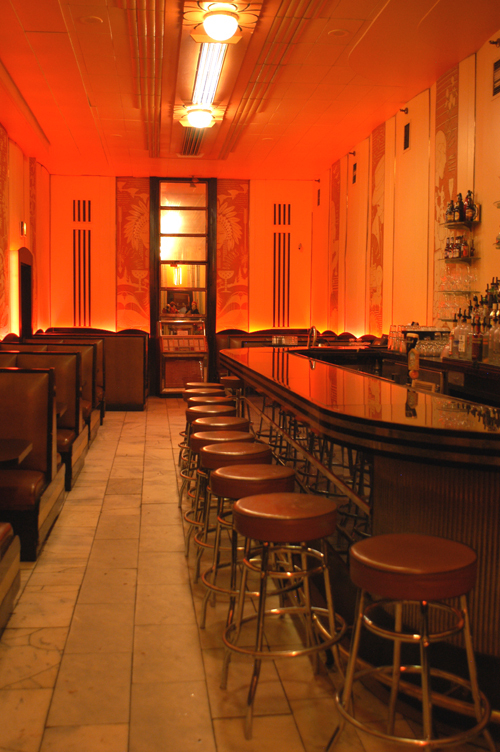 On the ground floor, tucked away behind McCormick’s Fish House and Bar, is the Cruise Room, an atmospheric Art Deco masterpiece and one of the finest reasons to stay at The Oxford. It was modelled on one of the lounges of the stately passenger liner Queen Mary and opened in 1933, on the day after Prohibition was repealed in the United States. With the indirect lighting casting an eerie pink glow, it had me thinking of Jack Torrance and all things supernatural. Luckily, the jukebox at the end of the room, despite being something of an anachronism, kept me anchored in the here and now even after a couple of seraphic martinis; the only spirits that possessed me that evening were cold and dry and created from my favourite Ketel One vodka. Like all great hotels, The Oxford has transformed with the times. It was remodeled in Art Deco style in the 1930s and then updated, with a careful eye to regilding its heritage, in the early 1990s. 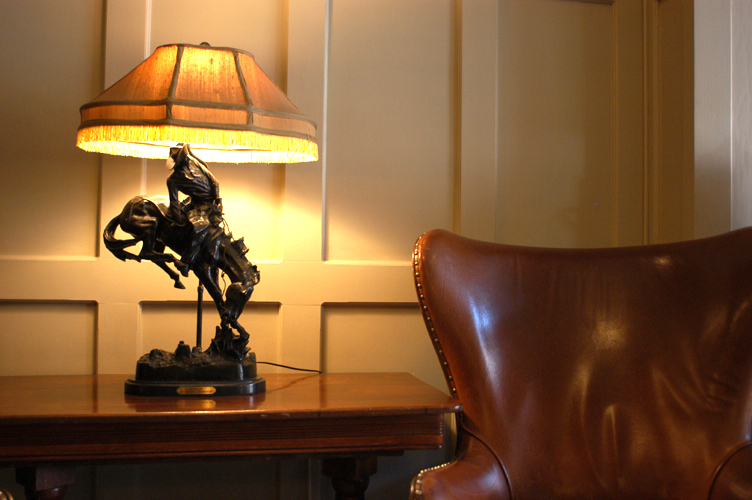 The lobby of The Oxford is a time capsule of comfy lounges and overstuffed chairs, antiques and vintage artwork. Near the check-in desk, Rocky the canary trills happily from his cage. Sherry is served in the lobby each afternoon. It was here that local newspapermen would wait in days gone by for passengers alighting from trains at the 1885 Beaux Arts-redolent Union Station just down the block, hoping for a good story. The guestrooms, cosy with antique furniture, nod to the present with such trappings as Bose sound systems with iPod docks. The lushly carpeted hallways and the thick walls cocoon guests and don’t disturb their rest. The Oxford Hotel is located in the LoDo or Lower Downtown district which, luckily, resisted the urban renewal that decimated the city in the 1970s. Just around the corner is the Tattered Cover bookshop, housed in a former mercantile building. With a satisfyingly well-rounded range, it has bare wooden floors and beamed ceilings, couches and easy chairs to whittle away a few hours. Free wi-fi and an obligatory coffee shop make it popular with the locals. Across the road from The Oxford on Wazee Street is Rockmount Ranch Wear. Rockmount was founded in 1946 by Jack A. Weil, who worked every day in the store until his death in 2008 at the age of 107. He introduced the first western shirts with snap fastenings instead of buttons as well as the first commercially-manufactured bolo ties. Today, his family maintains the same traditions, creating western gear favoured by bands, celebrities and movie stars. The original architect of The Oxford, Frank E. Edbrooke, also designed Denver’s society hotel, the Brown Palace, which opened the year after The Oxford. It’s well worth a visit with its nine-storey atrium crowned by a stained-glass skylight. Every US President since Teddy Roosevelt (with the exception of Calvin Coolidge) has either visited or stayed at the Brown Palace. Guided tours are held twice a week. Thinking it over, though, there’s really no choice. There’s a shining at The Oxford that has nothing to do with Stephen King. And as I sit in the Cruise Room, the spirits of the past are at rest. And if there is the sense of being watched, a movement out of the corner of your eye or the waft of an unknown perfume, it’s just The Oxford letting you know you’re one of the family.